Red Reflet is a ranch for the senses. It’s where a few hardworking individuals have mastered the art of hospitality to showcase some of Wyoming’s most breathtaking scenery and recreational offerings. Year round, guests can wake up in well-appointed luxury cabins surrounded by million dollar views of the red and coral-colored Chugwater formation sandstone cliffs and the contrasting blue and white snow-capped peaks of the Bighorn National Forest. 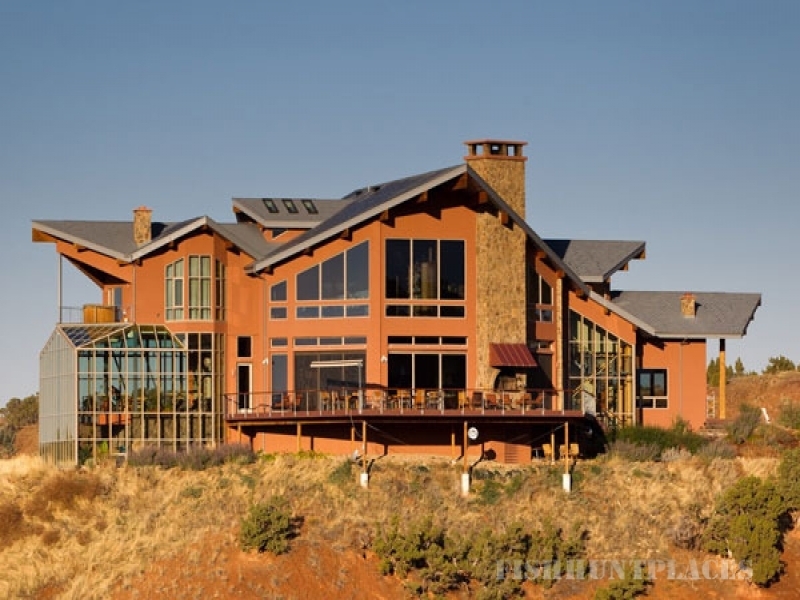 Handpicked by the on-site ranch owners, Bob and Laurence Kaplan, each staff member is among the best in their respective fields--whether it’s horseback riding, range shooting, fly-fishing, aerial sight-seeing or the art of preparing world-class cuisine. Regardless of group size, ages or length of stay, the Red Reflet experience is a vivid, once-in-a-lifetime ranch vacation guests keep coming back for year after year. There is a practice Pond for the fly fishing, local reservoirs for pan fish, and outstanding trout fishing for the experienced fishermen. Ranch staff can help you find local fishing. Or let us fly you to even better fishing. Professional guides can also be arranged. Additional costs may be associated.